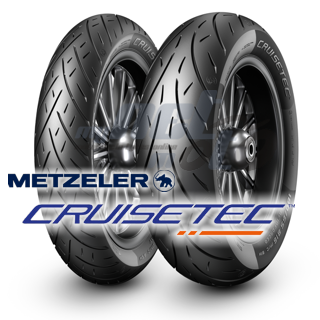 METZELER CRUISETEC, is designed to respond to the need of V-Twin performance-riding, and complements the METZELER portfolio for V-Twins. 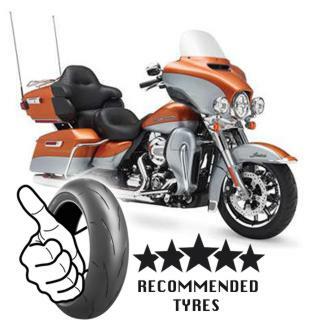 My first test mule was a Harley Road King, and while the bike isn’t exactly a paradigm of power and performance, I spent enough time aboard it to get a good idea of the Cruisetec’s overall manners. Right off the bat, it was pretty easy to tell that the Metzeler was putting down a big footprint at both ends. There’s that sense of solid footing and feedback you get from a tire with a well-engineered contact patch, and the Cruisetec gives you that confidence—along with surprisingly light steering and agility. The ride was smooth over all manner of bumps, potholes, pavement cracks, etc., with little of the deflection that you often encounter with average tires, especially over rain grooves, where there was no wandering whatsoever. 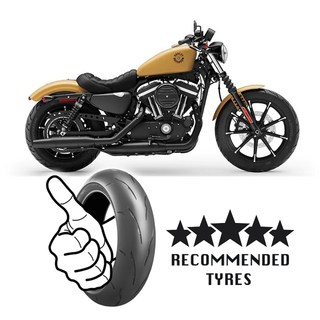 Cornering grip was excellent, although that was up to the point when the floorboards signaled that the cornering limit of the bike had been reached.